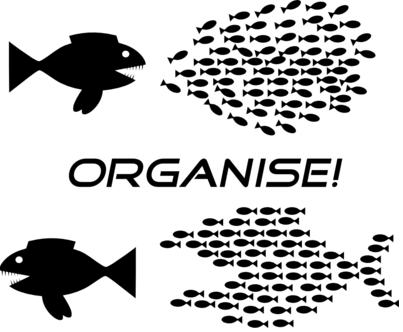 Are you a campaigner or an organiser? Most people reading this blog will have participated in some form of political campaign. Indeed campaigns, whether to save the local library or earn workers a living wage, are the bread and butter of left wing activism. Sometimes these campaigns are won, sometimes lost. Sometimes, all too often in fact, we find ourselves having to fight the same campaign all over again. Clearly there are many factors that determine the fate of a campaign but crucially only some of those factors are within our power to alter. Any campaign is made up of the same basic ingredients, popular participation, finance, activists etcetera. The degree to which a campaign is well funded, its ability to mobilise people and its shrewdness of tactics all have a concrete effect on its outcome. Most campaigns, whilst often run by seasoned campaigners, find themselves starting from scratch with regards to much of this. A bank account must be set up and funds raised to populate it. Activists must be trained in various skills or learn on the job how to manage the media, build demonstrations and negotiate with officials. Contacts lists must be built and websites must be created. Naturally these many tasks are time consuming and the better each is performed the more likely the campaign to win. This is why an organising approach, where individual campaigns are used to build longer-term organisation, can yield far better results. At the conclusion of any campaign the wealth of experience, knowledge, contacts and finance that has been accumulated typically disappears. Using campaigns to build permanent organisations such as unions or tenants groups allows campaigners to consolidate the power wrought by their campaign, and gives a stronger base for future victories. Permanent organisations can also enable more than immediate victories. When a campaign is won the confidence of those in it and indeed all those who witness it that they too can make positive social change grows. This confidence can easily dissipate though, without structures in place to nurture and strengthen it. The left doesn’t have access to mass media to get our message out there, so our strategy must be asymmetric, using organisations to communicate with members brought in through campaigns. In this way we can consolidate the confidence of participants and solidify it into a general culture of fighting back. But culture and willingness is only one aspect of out capacity to fight and win. Power, our ability to effect the course of events, is ultimately derived from how organised we are. By being able to train activists between campaigns, provide serious finance and to maintain contact networks, organisations like trade unions have real power should they choose to wield it. Looking at campaigns and organisations is of course only looking at one side of the equation. In examining why campaigns fail or succeed we also need to examine why it is we find ourselves continually fighting them. The answer, ultimately, has to be the capitalist system, who’s relentless drive for profits at the expense of all else wreaks destruction on our communities and workplaces. But just as individual campaigns address individual symptoms of this underlying problem, opposition to capitalism can only oppose the symptoms, the excesses of this system. This is because opposition in and of itself provides no alternative. To this day there has been only one coherent alternative presented: socialism. Socialism proposes tackling capitalism at its roots, in the economy which generates its vast profits. By bring the economy under the control of the general populace (socialising the means of production to use the Marxist lingo) the capitalists are stripped of their source of power and wealth. In short, the only way to rid ourselves of capitalism is to bring about socialism. The pursuit of socialism, the winning of individual campaigns and the building of powerful organisations all fit naturally together. Any genuinely mass organisation must campaign and win for its members or it will decline, examples of this are only too common. Individual campaigns , on the other hand, that do not serve to build organisations, risk squandering their resources and experience come victory or defeat. Ultimately, socialist or not, we need to make ourselves organisers rather than campaigners, building long-term capacity to win and win again. Whilst never explicitly syndicalist the Industrial Workers of the World, founded in 1905 in Chicago, clearly had a lot in common with their syndicalist comrades elsewhere around the globe. The primary instigator in this new union was the Western Federation of Miners, a highly militant industrial union. The WFM sought an alliance with various socialist organisations and smaller unions to create a national union body outside of the craft-focussed American Federation of Labour. The AFL represented craft-unionism par excellence, its member bodies being forcibly split along craft lines on pain of expulsion. In contrast to this divisive stance the IWW not only advocated industrial unionism but that there should be one union for the whole of the working class. After all, they all ultimately had the same interests. Somewhat optimistically the IWW saw itself as the basis for this One Big Union and this positioning often lead to an antagonistic relationship with the far larger AFL. In spite of its isolation from the mainstream of the labour movement the IWW mounted many inspiring organising campaigns, the most famous of which was undoubtedly the Lawrence textile strike. Over 20,000 workers walked out on strike and chose the IWW as their union. 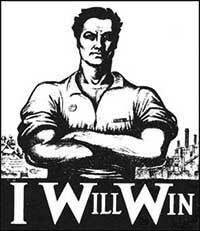 The strike was ultimately won and elevated the IWW to the status of household name. Sadly, in spite of its new national profile, the IWW failed to consolidate its success and within a couple of years the IWW was back to a token presence in Lawrence. This pattern was seemingly replicated across many IWW organising drives, with the organisation continually struggling to maintain a stable membership, even though it managed to win many spectacular victories. The sole exception to this trend proved to be the Marine Transport Workers union, based on the docks in Philadelphia. This union was to prove stable and lasted for a good 10 years before a large section left the IWW as the result of a political split within the organisation. Sadly, said split was not an isolated incidence, the IWW suffered numerous damaging splits throughout its history. The first of these was at its second conference in 1906! The IWW managed to grow in spite of both these splits and of brutal oppression, up until around 1923, where yet another split acted as a catalyst for a decline from which the union has never recovered. One of the most interesting splits from the IWW was that lead by William Z Foster, who in 1912 formed the Syndicalist League of North America. The league’s inspiration had come from the CGT in France and Foster was convinced that as in France syndicalist should work within the mainstream trade unions. In the years after he left the IWW Foster found himself the leader of the spectacular “great steel strike”, involving over 100,000 steel workers. Though the SLNA did not outlast the first world war Foster continued his work within the AFL through the Trade Union Education League which was associated with the newly founded Communist Party. Sadly as happened in Britain and France the cancer of Stalinism slowly replaced syndicalism within the left of the trade union movement. The Comintern eventually forced the TUEL to split from the AFL, resulting in a swift deterioration in the organisation. Syndicalism however wasnt confied to France, Britain and the USA. There are plenty of other important syndicalist unions, such as the USI in Italy who’s activists were instrumental in the famous workplace occupation and factory committee movement. 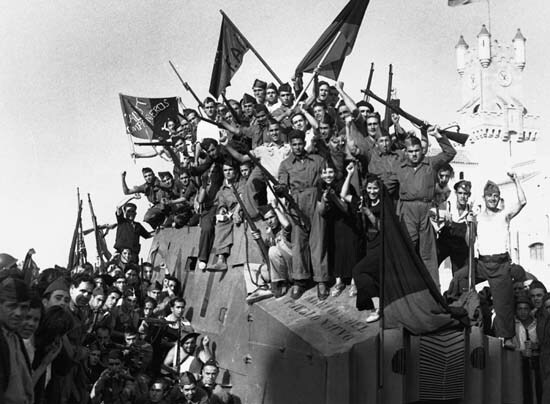 The most well known syndicalist union is probably the famously anarchist Confederación Nacional del Trabajo whose millions of members fought Franco’s fascists in the Spanish civil war. What many don’t know however is that the CNT for much of its life was not an anarchist union, it was a syndicalist union along the lines of the CGT or IWW. Irish Transport and General Workers Union is another great example of the importance of building unions as social insitutions. The ITGWU in its heyday was the most powerful union in Ireland and bought over a country estate outside Dublin for use for union picnics and other social activities. The union’s syndicalist influence clearly derives from the likes of James Conolly who was one of its key organisers and who previously worked for the IWW in the United States. Syndicalists today can learn a great deal from all of these unions. Whether its the importance of the union as a deeply rooted social institution or the need for membership stability there are clearly lessons to be learned. Whilst I don’t presently feel qualified to discuss Syndiclaism outside of France, Britain and the US hopefully this small snapshot will prove useful, I intend to add to it with further national examples as I read more. This post was originally part of an educational presentation entitled “Syndicalism then & now” I made for Liberty & Solidarity. The Confédération générale du travail, formed in 1895 in France, is widely regarded as the grandfather of the syndicalist movement. Within its ranks socialists alienated by party politics, radical republicans and anarchists joined forces to forge a new movement; revolutionary syndicalism. In a short space of time syndicalist ideas came to dominate the CGT, at the time the only sizeable union in France. as far as it concerns individuals, the Congress asserts the complete freedom for union member to participate — outside of his corporate grouping — in those forms of struggle that correspond to his philosophical or political concepts, limiting itself to asking him in exchange to not introduce into the union the opinions he professes outside it. Around this time the CGT was at the centre of the campaign for the eight hour day in France. This campaign provoked much industrial unrest and triggered the spectacle of a “socialist” parliamentarian (and erstwhile proponent of the general strike!) ordering troops to fire on strikers. The CGT used tactics pioneered in the early days by leaders such as Émile Pouget who advocated the use of sabotage to aid strikes and stop scabs. The true strength of the CGT however lay not in such tactics but in the solid basis it had within working class communities. This strength flowed from organs known as the Bourse du Travail which brought together unionists in a given town to provide services for the working people which the state did not. This encouraged workers to socialise together around the union and rendered it a powerful social institution. The syndicalist’s dominance of the CGT ended with the beginning of world war one. The anarchist Leon Jouhaux and his supporters on the union’s executive lined the union up with the French state in the infamous union sacrée. Syndicalists throughout the CGT attempted to reverse the betrayal, opposing it on the executive and attempting to call a congress to deal with the matter, however they were outmanoeuvred. After the war and in the wake of the Russian revolution the syndicalists attempted to regain hegemony within the CGT. They formed the Comités syndicalistes révolutionnaires and by the end of 1921 had succeeded in winning almost half of the CGT back to revolutionary syndicalism. It was at this point however that pressure both from those wanting to join the communist Profintern and the anarchists combined to force a split, the revolutionary syndicalists forming the Confédération générale du travail unitaire. 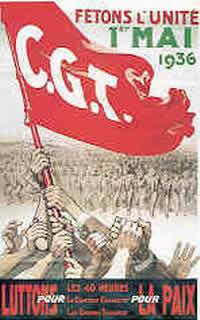 Eventually in 1936 the CGTU and CGT merged, however by this time syndicalist influence had waned, replaced largely by the stalinism of the Parti communiste français. After further splintering of the trade union movement later in the century, the CGT is still to this day the largest union in France. On paper it is still committed to the Charte d’Amiens and a refounded Comités syndicalistes révolutionnaires works within its ranks to once again win it to revolutionary syndicalism. In the UK the syndicalist movement was kick started in 1910 by veteran trade unionist and socialist Tom Mann, who had visited France and was impressed by the model of the CGT. Much like the revolutionaries in France he adopted the approach of working within the existing unions, forming the Industrial Syndicalist Education League to propagandise for syndicalism. During this time Mann lead the successful 1911 Liverpool transport strike. After the strike he was imprisoned for having published a leaflet during the course of the strike urging troops not to fire on strikers. This imprisonment brought him and the fledgling ISEL great attention and the ISEL’s newspaper The Syndicalist reached a circulation of 20,000. A broader syndicalist movement out with the ISEL also flourished after Mann’s imprisonment. In 1912 the Miner’s next step, a pamphlet arguing that the miners must go beyond nationalisation and argue for workers control of their workplaces appeared in the coalfields of south wales. The Daily Herald, a distant ancestor of todays Sun was also founded in 1912, the paper was hugely sympathetic to the syndicalists and its readers groups up and down the country became hives of syndicalist debate and practice. Sadly in spite of this strong movement the ISEL came to a premature end in the 1913-14, when the organisation was seized by “dual unionists” who favoured splitting from the existing labour movement to set up new unions. Though this was the end of the UK’s primary syndicalist organisation its influence was felt in coming decades, as the syndicalist influenced Socialist Labour Party helped organise munition worker strikes during the first world war, leading to the formation of workers committees across the country and the famous “red clydeside” period. Syndicalist inspired politics also found a home in the early british communist party, many former members of the ISELincluding Mann filling its ranks and working within its “minority movement” within the TUC unions. Syndicalism is the belief that workers should run their own workplaces some that they may be administered effectively and democratically. Through this workplace control, exercised nationally via labour unions, workers could wield democratic control over the whole economy. Labour unions are key to this idea as they have the potential to organise and socialise large numbers of workers together, on the basis of fighting for their collective interests and to increase their collective power in the workplace. But as syndicalists would be the first to admit that the labour unions of today are not up to the lofty task of winning democratic control over the economy. Consequently syndicalists propose numerous ideas for building unions to the point where they can take power in workplaces. Syndicalism as a form of socialism has always emphasised the importance of the “economic” that is the bread and butter workplace demands of pay and conditions, over the “political”, the battles of ideologies and party politics. This is because we observe the politics can be a hugely destructive force and tying a labour union to a particular political creed is likely to lead to the exclusion of those who are not adherents of said creed. That said clearly socialism is a “political” concept, but ultimately this political conclusion flows naturally from the strengthening of unions and workers being exposed through struggle to the class nature of society and their own collective power. 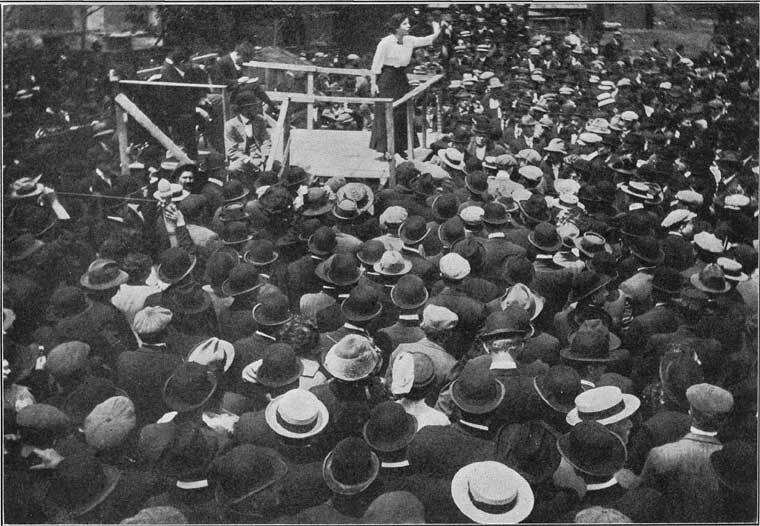 Syndicalism is also associated with militant action, with syndicalists playing key roles in major strikes, for example during the great unrest period before the first world war. However, syndicalists willingness to use militancy to gain results is not an aesthetic preference, militancy for militancy sake can be destructive, it is important to apply militancy only when it is the best strategy to win. Another key concept often associated with syndicalism is industrial unionism, though it is worth noting that historically there have been some syndicalists who have rejected industrial unionism. Industrial unionism is where unions structure themselves around the supply chains of industries. For example this might mean that retail workers in a shop would be in the same union as the workers in the distribution centre and the farmers growing the food. This means that when the retail workers strike they are more likely to incur solidarity from their fellow union members elsewhere in the supply chain and so stand a much greater chance in being able to shut the entire proccess down and render scabs useless. In contrast to this approach stands the tradition of craft unionism, where workers are broken up not on the basis of their industry but on what trade or craft that worker practices. This approach has proved hugely damaging, frequently pitting “skilled” against “unskilled” workers in battles for relative privilege rather than uniting workers in a way that renders them powerful. This divisive form of unionism is still in evidence today with the most prominent example in the UK being the education sector. In a typical university there will be at least four different unions, one for the janitors, one for the cleaners, one for the technicians and one for the lecturers (who couldn’t possibly let the smelly little plebs into their union). This concretely weakens the power of even the more privileged lecturers as should they strike they cannot count on the janitors to strike with them, a move which would force most buildings on a campus to close completely. Clearly, ideas like industrial unionism and syndicalism are as relevant today as in the heyday 100 years ago. In order to understand how we can best apply syndicalist ideas today, we ought to look at how syndicalist have fared historically, this will be the subject of my next post. This post was originally part of an educational presentation entitled “Syndicalism then & now” I made for Liberty & Solidarity, I intend to post a couple of other posts adapted from other portions of this presentation on the history of syndicalism internationally and what a new, up-to-date form of syndicalism might look like. Unions have forever been a socialists friend, often at the centre of exciting periods of revolutionary activity such as Red Clydeside or the Spanish revolution. However today’s unions seem a far cry from the revolutionary militancy of yesteryear and so it is worth asking the question, why should socialists and radicals today care about unions? One reason to care is numbers. At 6.5 million members the trade union movement is the largest organised body of the working class in existence. What’s more the trade unions constituency incorporates nearly the entirety of our class, as being a worker is an experience, unlike going to university for example, which almost all of us will share. Now clearly size alone wont cut, after all the largest political party is the labour party and most of the socialist left is to be found (quite rightly) outside of it, but the sheer capacity of the unions must be acknowledged. This capacity is at its greatest when trade unions mobilise their members collectively to improve their lot. Such a mass experience of collective action, and hopefully a collective victory can not only serve as the basis for further strengthening the organisation and power of our class but also carries within it the seeds of our new society. If or future society is to be a collective, socialistic one, it should follow that bringing it about must also be a collective effort. Were socialism to be installed by coup or some other individualistic, minority-based strategy then you would expect to find any new collective structures swiftly being corrupted or abandoned as has been borne out by various historical examples. This is partly because people are creatures of habit, and are not very good at going outside their comfort zones. If people have not been socialised into collective ways of working, if they have not experienced for themselves the possible pitfalls such as corruption and how best to deal with them, then it would seem that any collective experiment is doomed to failure. Consequently it would seem that the processes of attaining socialism must in itself be collective and socialistic, building the new world in the shell of the old. Trade unions can serve to facilitate this collectivism but they can also play an important role in the building process. A revolutionary change in society, especially one involving massive numbers of people is difficult to pull off. It needs organisation and the self-confidence of all those involved. Through building up organisational size and capacity through small victories, increasing the confidence of the members and the reputation of the union bit by bit we have the potential to create powerful fighting machines, just like the unions of yesteryear. Sadly as we all know unions are presently ill-suited to this task. Density is in decline and the sort of union activity that builds confidence and wins victories is seemingly rare. What’s more large sections of the population, especially young casualised workers have never had any experience of trade unionism. Clearly these workers need to be organised, need to be part of our collective solution to the problems of capitalism, and so the question is then, how is this best achieved? Ultimately this is a tactical decision. Some, such as the IWW, advocate setting up new radical labour unions and this approach has met with a limited degree of success, for example organising Starbucks workers. Other socialists, noting the huge capacity of the existing movement, feel its better to intervene within those unions that exist and argue for them to extend unionisation to those whom it is presently unavailable. There are arguments for either approach, what is clear is that one way or another collective action and organisation must be extended to the entirety of the working class. This is why as a socialist I have been drawn towards syndicalism, with its focus on the potential of labour unions as transformative agents in society. But whichever socialist creed you adhere to we should acknowledge that unions, though frequently inadequate and inaccessible, have the potential to play a huge role in changing society for the better. In order to create a better world we, the working class, need power. Such power can only come through collective organisation around the one thing that unites all members of our class – work. But trade unions, the bodies with which we socialists attempt to create such collective organisation, are in decline. If we are serious about building trade unions and winning them to socialist ideas then we need to come to the table with ideas of how to reverse this downward trend. The traditional left wing approach has often been to argue for greater militancy, an approach which has been discussed elsewhere on this blog. However there are other less obvious but perhaps even more important possibilities for trade union renewal. One of the obvious places to look for ideas for union renewal is the few success cases of today. One of the few unions that has grown substantially in the past 10 years is the American behemoth the SEIU. over the past decade it has succeeded in nearly doubling its membership to a staggering 2.1 million. This has been in spite of the incredibly hostile conditions of industrial relations within the USA. So how did the SEIU achieve this against-the-odds success? 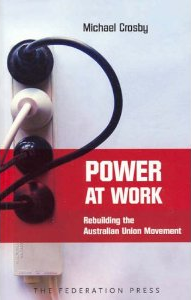 It looked to the Australian movement the organising methodology it had adopted to raise its own membership figures, the organising model. Now both the left and the trade union movement in the UK like to talk about organising. For the trade unions “organising” often simply means recruitment, handing out union membership forms, whilst for the far left “organising” only really seems to translate as party or front building. The organisng model on the other hand sets up organising as an approach that is rather different to traditional union “servicing” and recruitment. The approach of this model is to map workplaces and conduct surveys to find out what issues the workers there are most concerned about. An issue is then selected and a campaign run to get a victory. Through building by starting small and working up the self confidence of the workers and the standing of the union can be steadily improved. What’s more the organising model can be far more confrontational than the servicing/recruitment approach, with strikes (such as the successful Sodexo workers strike resulting from UNISON’s attempt to implement the model) a fairly common tactic to gain results. With such demonstrable effectiveness and the possibility for militant outcomes you’d think the far left would be raving about this new approach, yet the far left has virtually nothing to say on this new methodology. This is in part the fault of the far left for not taking sufficient interest in workplace issues. Such an attitude has left as the sole champions of organising certain factions with the union bureaucracies and consequently a conservative vision and practice of organising dominates. Whilst using militant tactics might be a great way to force reluctant employers to recognise your union and to build your membership numbers, once you’ve done a deal with that employer you don’t want pesky members messing it up by trying to win more. In order to prevent this being the reality of organsing the left needs to engage with and learn this new model. Of course as many lefties will point out large elements of the model aren’t new, they’re a historical rediscovery of how unions used to work. This is only part of the picture though, old-school militancy has been complemented by modern organising techniques, making the organising model a powerful tool. Another incredibly useful tool is that of trade union culture. When the union is the centre-point of cultural and social activities for its members it will be rendered far stronger. After all your much more likely to go down and support the picket line if your mate Bob, who you met through the union football tournament is one of those on strike. 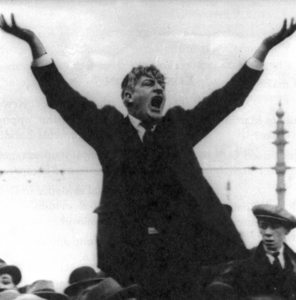 The central importance of the union as a social institution was realised by Jim Larkin, who as leader of Ireland’s syndicalist union, the ITGWU, organised union picnics and other cultural activities that greatly contributed to the early successes of this new union. Another syndicalist union, the CGT in France, used similar tactics. Through its Bourse Du Travail localised structures the union would provide services and a social space to working class communities, building up popular support for the union and encouraging members to socialise together. Sadly such locality based organising is more difficult today as workers in one workplace are unlikely to all live in the same locality, however in spite of this the comrades in the Comités Syndicalistes Révolutionnaires are having some success at reconstructing a local CGT presence. Whilst on the left we often regret the demise of union clubs and the centrality of unionism in working class life we would do well to head the old socialist adage: don’t mourn, organise! This social infrastructure can be rebuilt, starting small and building up, but it is up to us to ensure that this happens. If the working class is to stand a chance it must be organised thoroughly to assert its collective power. The techniques of the organsing model and the strengthened social bonds that come through a trade union culture are two vital tools in this task.